Saint Petersburg, the city founded by Tsar Peter the Great in 1703 in a mosquito-infested swamp, was the capital of the huge Russian Empire (1721-1917), only to be moved to Moscow by the Bolsheviks in 1918 (they also renamed the city ‘Leningrad’). 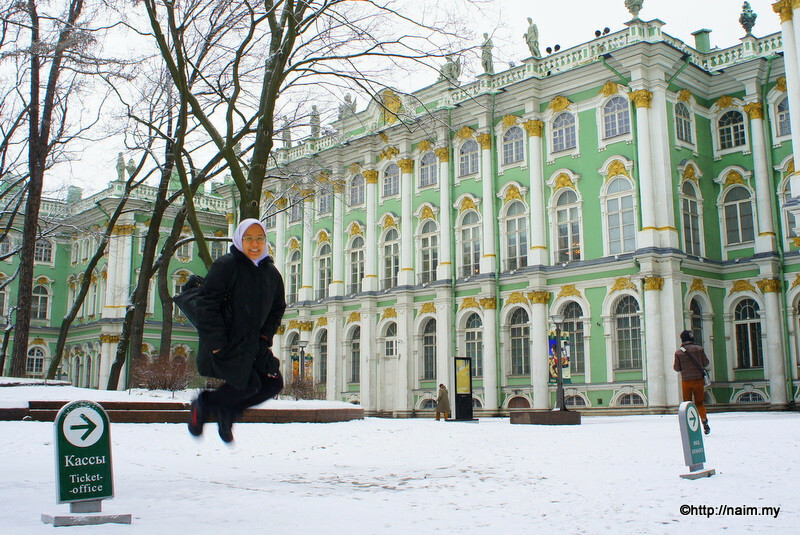 It flourished to become one of Europe’s most elegant cities and the cultural centre for Russia. The Historic Centre of Saint Petersburg is now a Unesco World Heritage Site, and on a cold April weekend, we find ourselves exploring the town by foot. Part I — Journey from Kuala Lumpur to Saint Petersburg, via Dubai, with Emirates. First day in Saint Petersburg is spent at the wonderful State Hermitage Museum, established by Tsarina Catherine the Great in 1764. It houses the largest collection of paintings in the world. Part II — Another Saint Petersburg sight is the late 19th century Church of the Savior on Spilled Blood. Built on the exact spot Tsar Alexander II was assassinated in 1881. Part III — A cold walk across the Neva river in the sleet, to visit the Saint Petersburg Mosque (opened 1913) and the St Peter and Paul Fortress, the birthplace of Saint Petersburg and the Russian Empire.